No one could have ever imagined Sheamus cashing in his Money in the Bank at Survivor Series against Roman Reigns. Now that Sheamus has secured the World Heavyweight championship, a bigger question arises: Can he keep the title around his waist? Roman Reigns had his chance to sell out to The Authority on Raw several weeks ago. When Reigns turned down that opportunity, someone had to come in and be the man chosen by The Authority. Triple H and Stephanie McMahon looked no further than Sheamus, who had the Money in the Bank briefcase. When Sheamus cashed in the briefcase at Survivor Series and took advantage of a weakened Roman Reigns, he earned more than just the WWE Championship; he earned the title of becoming a marked man. Although Roman Reigns only held the WWE Championship for a total of 5 minutes, he is the former title holder which gives him an automatic rematch for the title. Sheamus will have to defeat Roman Reigns in a Tables, Ladders and Chairs match at WWE’s upcoming pay per view. Roman Reigns has been so close to becoming the WWE champion over the past year. Could Reigns get his revenge against Sheamus and reclaim the WWE Championship? Sheamus hasn’t needed outside assistance to win matches in the past. Sheamus is the type of wrestler to get an advantage by using whatever accessories are available to him at ringside. Given the fact that The Authority has such disdain for Roman Reigns, there could be a surprise waiting for Reigns during the championship bout at WWE TLC. This could enable Sheamus to retain the belt, especially if he has some built-in advantage in the match bestowed upon him by The Authority. If Not Reigns, Then Who? If Roman Reigns doesn’t dethrone Sheamus, who else has the clout to stand up to Sheamus and become to the number 1 contender? You could make a case for Bray Wyatt being championship material, given his recent high profile rivalry with the Undertaker. 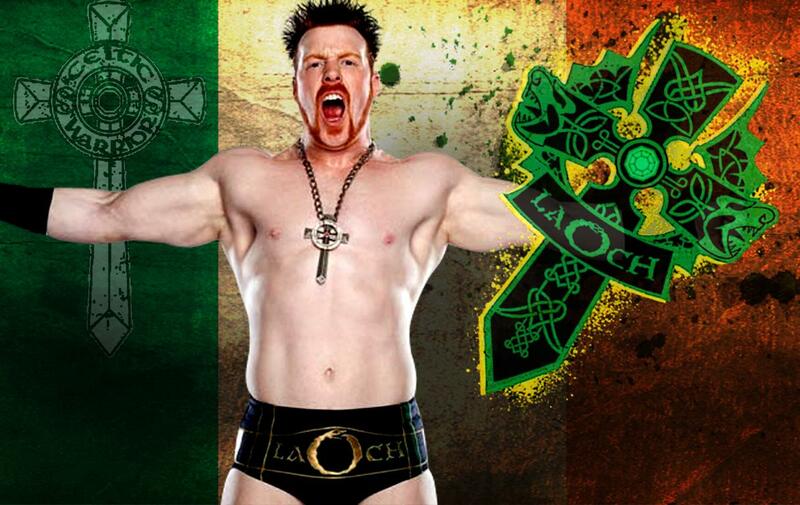 John Cena could return to the WWE to battle Sheamus for the title. Cena has been absent from the WWE because he has pursued a role on the Fox TV show American Grit. Brock Lesnar could always make a return to the WWE. Since Brock has effectively put his rivalry with the Undertaker to rest, it’s always possible that Brock could come back to the WWE in efforts to take another shot at the WWE Championship.